Explore interactive maps of the World Trade Center, the Pentagon and the path of Flight 93 to get a complete picture of the events of September 11, 2001. From the History Channel. 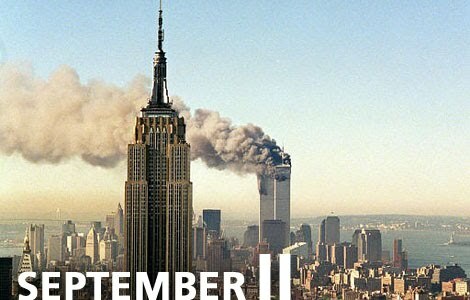 Clicking on any image in the collage will open up a dialogue box displaying that person's memory of their feelings when they learned the news of the attacks on the World Trade Center and on the Pentagon. In 2005 Story Corps began their 9/11 initiative to record a story for every life lost on September 11, 2001. Recently, they published three animated versions of these stories.